Gary Todd, a Founding Partner at Todd & Weld LLP, is recognized locally and nationally as a preeminent family law practitioner specializing in domestic relations and probate litigation. He has successfully negotiated, mediated and tried numerous family law issues at the trial court and appellate levels, including divorce, custody, parental rights, complex support matters, property division, removal, modification, and contempt actions. Mr. Todd has broad experience drafting and negotiating prenuptial and postnuptial agreements. In addition to Mr. Todd's litigation work, the Massachusetts Trial Court has appointed him to serve as Special Master, Discovery Master, Guardian, Conservator, and Attorney for Children. Best Lawyers in America, a longstanding and well-respected peer review publication in the legal profession, has honored Mr. Todd in the areas of Family Law, and Litigation – Trusts and Estates. 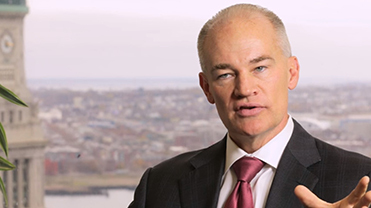 Best Lawyers named Mr. Todd "2015 Boston Litigation – Trusts and Estates Lawyer of the Year." Best Lawyers each year honors only one lawyer in each community for each practice area as a "Lawyer of the Year." Boston Magazine has recognized Mr. Todd as a "Massachusetts Super Lawyer" in Family Law, and The Boston Globe and Wall Street Journal have recognized him as one of the “Top Attorneys in New England” for Family Law and Trusts and Estates. Mr. Todd is AV-rated by Martindale-Hubbell, the directory's highest possible peer rating. Board of Directors of Massachusetts Association of Guardians Ad Litem, Inc.
Mr. Todd volunteers as Trial Advisor for the Harvard Law School Trial Advocacy Program, as well as a judge for the New England Law Trial Competition. Mr. Todd is a frequent lecturer on domestic relations law for the Massachusetts Bar Association, Boston Bar Association, the Massachusetts Continuing Legal Education, Suffolk University School of Law, and Harvard Law School Trial Advocacy program. Mr. Todd has appeared as a special legal analyst in divorce on Fox News, Channel 56 News, WBZ Channel 4 News, WBZ radio, and as an expert in domestic relations for The Boston Globe. Mr. Todd has authored articles on divorce and family law in several legal publications, and has been a panelist at numerous continuing legal education seminars for the Massachusetts Bar Association and Boston Bar Association. Winter 2019 Family Law Newsletter: Is money in a 529 college savings plan marital property? Fall 2018 Family Law Newsletter: What are the latest trends in joint custody? Fall 2017 Family Law Newsletter: Does a divorcing spouse get credit in a property division for paying household bills? Summer 2017 Family Law Newsletter: When can prenups be challenged on fairness grounds?